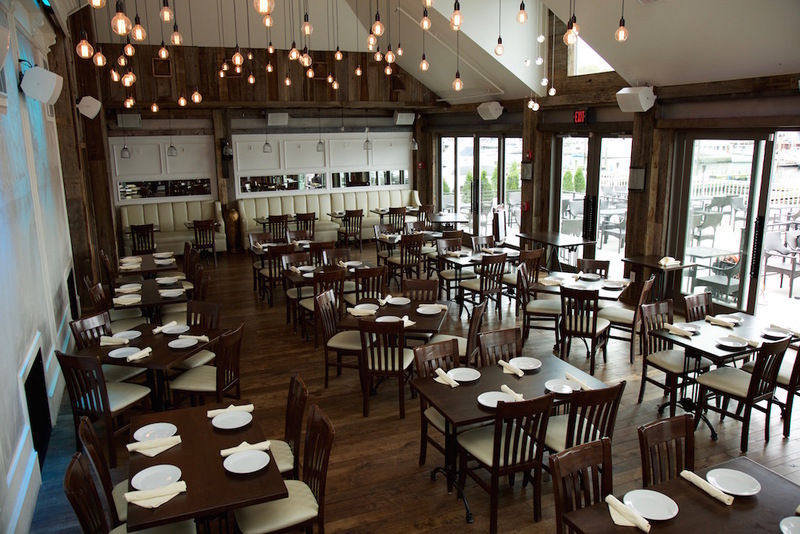 Tucked away behind a dense tree cover that conceals the Glen Cove residential area, sitting quaintly on a dock overlooking Hempstead Bay, you’ll find The Cove Restaurant and Oyster Bar. Sunsets over anchored boats on the harbor paint the perfect summer backdrop for this dual restaurant and nightlife destination. The dining room with sliding glass doors to the outdoor patio transports restaurant goers, making them feel as though they are guests at an oceanfront resort. 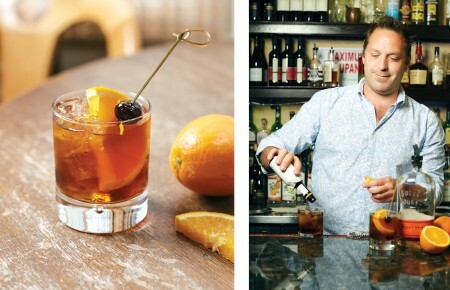 “People say they don’t feel like they’re on Long Island when they come here. 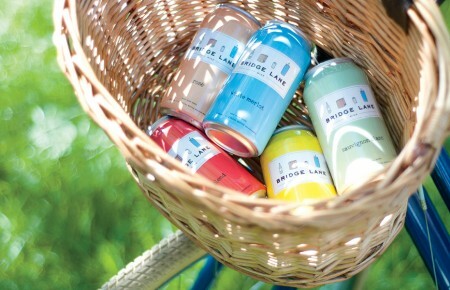 Everyone feels like they’re on vacation,” co-owner Philip Iordanou said. 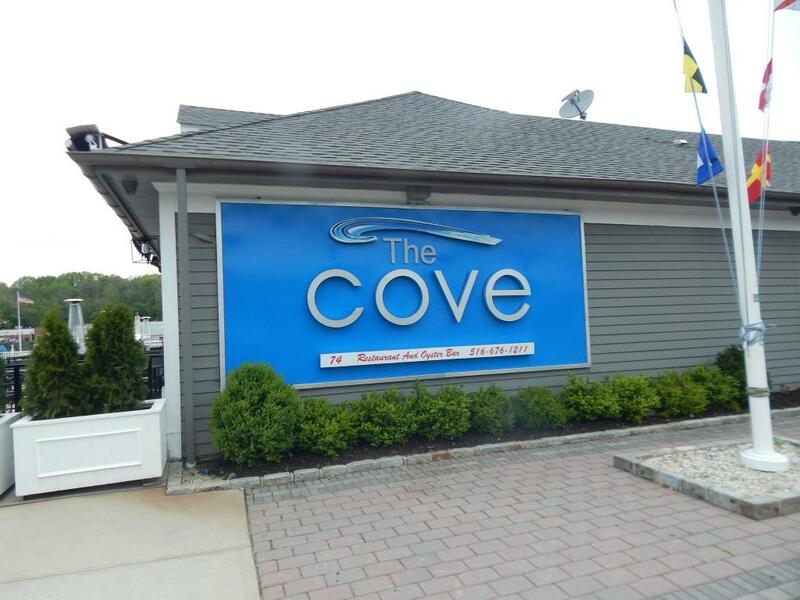 Father-son duo George and Philip Iordanou opened The Cove on May 16 with one mission in mind: to bridge New York City nightlife with the comfort of dining locally on Long Island. Inspired by 20 years of experience in the nightlife business, George immediately saw great opportunity for the waterfront location. After previous jobs of hosting and managing restaurants while attending hospitality management school, George’s son Philip is excited to embark on this journey with his father as co-owner. The sea inspired menu offers a combination of comfort food and traditional seafood dishes. As supporters primarily of East Coast fisheries and vendors, the kitchen puts a creative spin on local shellfish. With fish and meat dishes ranging from $16 to $36, the menu caters to an array of demographics and tastes. 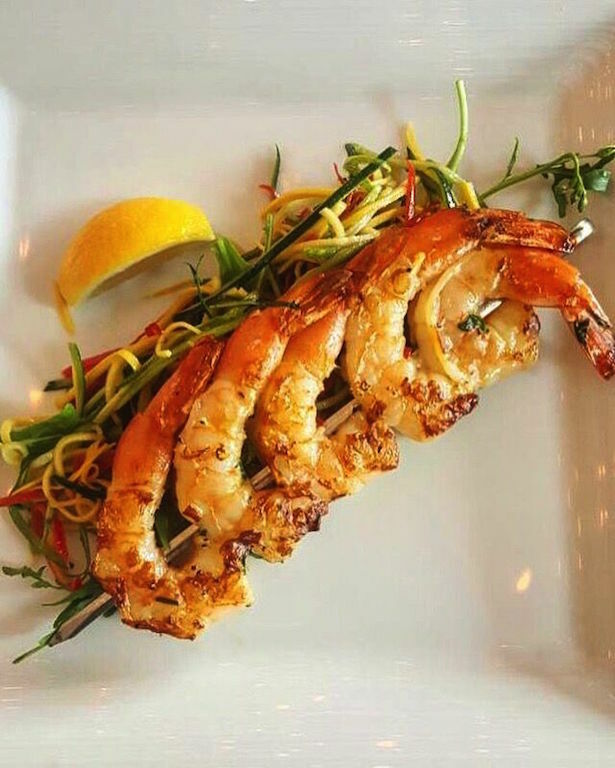 Some of The Cove’s most popular starters include Spicy Glazed Firecracker Shrimp, “The Cove” Calamari drizzled in chipotle sauce with vegetables and of course oysters prepared in a variety of styles. Linguine Vongole with little neck clams and Lobster Clambake served with sausage, fresh corn, potatoes and herb butter top the list of well-regarded entrees. These fish oriented courses alongside meat dishes, like their Rib Eye Steak served with caramelized onions and mushrooms in a béarnaise sauce, draw families and couples alike. The bar has put together a unique cocktail list to complement the menu’s merriment of land and sea, featuring a watermelon and basil margarita using tequila that is infused with jalapeños. Their peach iced tea with vodka and raspberry mojitos are also a big hit with their adult crowd. Themed parties are blanketed by a tent on the patio, transforming the chic restaurant into a club after dining hours.